There was a moment in Mario Verduzco’s career when he had a choice to make: music or football? (Quarterbacks all over the country and now Nebraska fans are better for that decision.) He chose football, but was an accomplished upright bass player who considered joining the Santa Cruz Symphony. Stop into his office and you'll almost always find music playing. We sat down with Verduzco to talk about what's on his bookshelf for a story you can read in the 2018 Yearbook. But as an accomplished musician and noted music lover, it would've been a missed opportunity not to ask Verduzco for some music recommendations. What's he listening to while breaking down film or getting the quarterbacks' game plan ready? I had my classic rock phase, but Pink Floyd never really took for me. I view that as a personal failing, like I didn't try hard enough. I generally like complex, difficult, occasionally obtuse music, and Floyd can be all of those things. 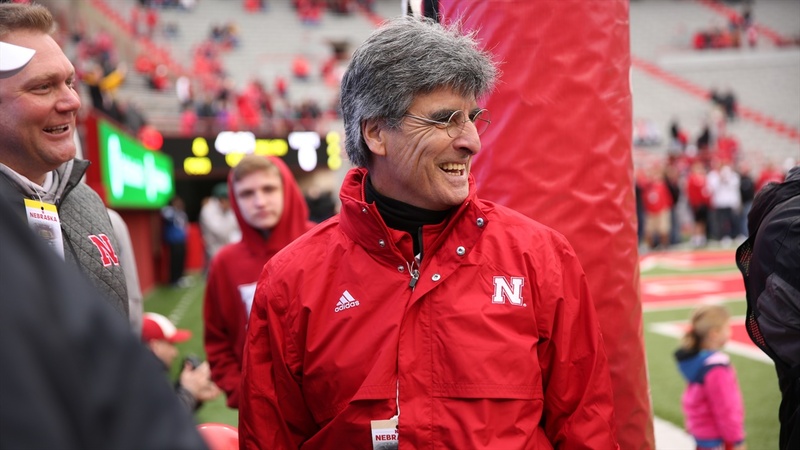 If you've read the Yearbook story, this pick makes perfect sense for Verduzco. Verduzco was careful to differentiate between "best band" and "best rock band," which I think tells you everything. 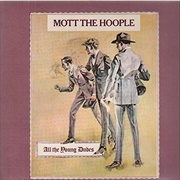 "If we’re talking about rock and roll music, I was always an underground kind of guy, so I always enjoyed the band way back when called Mott the Hoople," he said. If you're not familiar with the London glam-rockers don't feel bad, they fit the definition of underground. Mott the Hoople was about to break up after two albums in 1972, but David Bowie was reportedly a fan and offered the band "Suffragette City." They declined, but did record the Bowie-penned "All the Young Dudes," which remains the band's biggest hit. I can get in to some Mott the Hoople. Much like Verduzco is in the training of quarterbacks, Evans is classically trained in his field as well. That's not always common for football coaches or musicians, where experience almost always trumps degrees. That makes Evans a fitting choice for best jazz musician. I was lightly familiar with his work before listening to more of it on Verduzco's recommendation. The skill is apparent almost immediately, and I don't even know Evans' oeuvre well enough to know if I'm picking the best songs here. Drawing additional connections here, in 1958 Evans joined the famed sextet of . . .
Maybe this makes me an unsophisticated listener of jazz –– if so, that would be mostly accurate –– but I'm well acquainted with and love Davis. 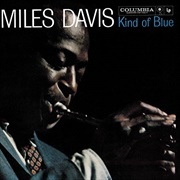 Kind of Blue is hailed as the best jazz album of all time. I lack the deep knowledge of the genre to even think about refuting that, but wouldn't want to anyway. It's great. All I can tell you is that I listen to it all the time, but it's not my favorite Davis record. That would be the soundtrack Davis recorded in one session for the 1958 Louis Malle film Ascenseur pour l'échafaud, known in the U.S. as Elevator to the Gallows. It's a great film, made partially so by an excellent soundtrack. It's represented on this playlist by "Générique." I wasn't familiar with the "Great Dane with the Never-Ending Name" before Verduzco listed him as his favorite bassist, but that's a recommendation from a bassist himself. Ørsted Pedersen, who was Danish, died too young, but I'm really liking the 1973 album The Trio, for which Ørsted Pedersen earned a Grammy alongside Oscar Peterson and Joe Pass. Spotify user? We're on there now. Give us a follow as we have some fun Husker-related playlist ideas for the season ahead.